The Fellowship was fortunate enough to obtain an advancecopy of HELLBOY: THE HOUSE OF THE LIVING DEAD hardcover graphic novel from DarkHorse Comics. 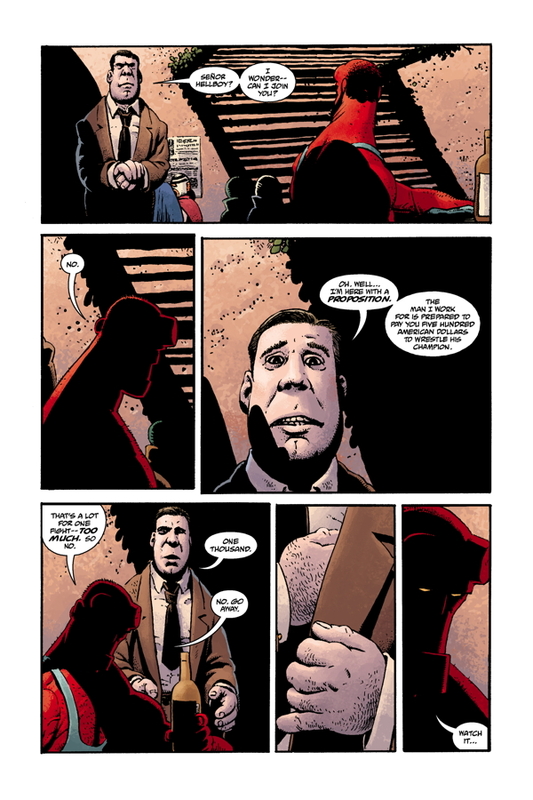 Mike Mignola wrote the story, with Richard Corben (HELLBOY: BEING HUMAN, B.P.R.D. : BEING HUMAN) handling the artwork. It is 1955 and Hellboy is in Mexico spending time betweenwrestling and getting drunk trying to numb the pain of losing a fellow monster hunter to vampires. He is blackmailed into fighting a Frankenstein type monsteror else a young woman being held hostage will be killed. The mad scientist found out he would gain favor with the lords of Hell if his creation would defeat Hellboy. Throw in a werewolf, a hunchback assistant, and more vampires -just another day at the office for Hellboy. The team of Mike Mignola and Richard Corben work verywell together. 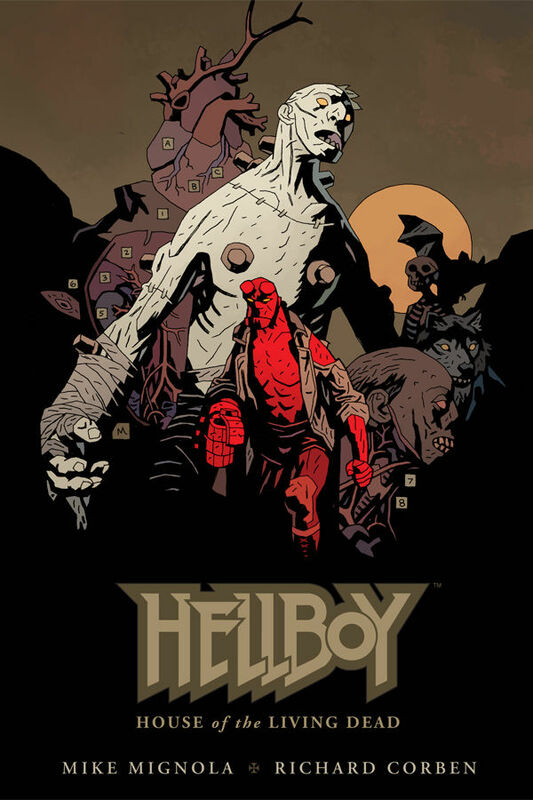 To me, the only other penciller that could capture the world ofHellboy just as well is…well, Mike Mignola. I like the grittiness of the Corben’slook. Mingola’s story is straightforward and there is no real surprises, but is a fun ride and one I would take again. HELLBOY AND THE HOUSE OF THE LIVING DEAD is in stores now.